Home BUSINESS As 5G war with China heats up, could a Cold War-inspired plan be the solution? 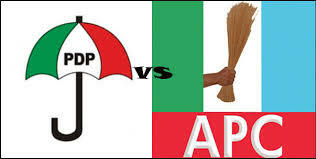 Photo illustration: Yahoo News; photos: AP (3), Getty Images. When Air Force Brig. Gen. Rob Spalding left the National Security Council in January, he was one of the few officials at the White House studying the security threat posed by the rapacious race to link up the world’s first high-speed 5G telecommunications network, primarily between the U.S. and China. Spalding, who previously served as U.S. defense attaché at the U.S. Embassy in Beijing, believed that U.S. companies should work jointly in that race, with or without government aid, to bake strong security precautions into the new speedy networks — to prevent spying, theft or destruction by China and others. Spalding came up with a notional plan that would, as outlined in his paper, “Secure 5G — the Eisenhower National Highway System for the Information Age,” more heavily involve the government in providing technology, spectrum and leadership, the way President John F. Kennedy expanded the space program. But when the memo outlining his plan was leaked to Axios, his proposal was misinterpreted, Spalding says, as a way to “nationalize” 5G under a government banner. After the leak, his NSC detail was not renewed, he retired from the Air Force and his plan was effectively shelved. Since Spalding’s departure, the White House has pursued an aggressive strategy directed at preventing Beijing from dominating the U.S. 5G market, whether through banning Chinese companies from doing business with U.S. firms, or in the case of Huawei, pressing charges against a key executive. The Justice Department has also pursued an array of indictments targeting Chinese military and corporate espionage. As the Trump administration ramps up pressure on China, Spalding’s erstwhile proposal illustrates one of the basic problems of dealing with the national security issues related to 5G: While U.S. experts and policymakers may agree that Beijing’s dominance in this area represents a national security threat, attempts to keep Chinese companies out of the U.S. market may not, on their own, be the solution. While the specifics and components are not yet clearly defined, 5G, or the fifth generation, will become the next version of mobile communication networks — gradually replacing the current 4G LTE networks. The 5G network promises lightning fast connectivity and download speeds for large files likes videos, and some believe it will link up the now massive network that makes up the internet of things. But 5G could become an example of how rapid progress has outpaced security considerations. Millions of smart fridges and routers and baby cams are often sold and preprogrammed with default passwords and lack of other security precautions, leaving them vulnerable to capture and use by attackers. The 5G network will only add more sensors and digital connections between these objects, increasing the attack surface. The question has become now how to deal with that threat. Spalding’s plan has essentially had two options: Either the government would foot the bill for a centralized network that it could rent out — or the companies would come together to build one and sell it back to themselves later, forsaking their competitive business strategies for the good of the nation. Spalding says internal resistance in government and a lobbying campaign against his attempts to “nationalize” 5G ended any discussion over his plan prematurely. Spalding’s plan does have supporters. Eric Spackey, a former telecom executive, told Yahoo News that Spalding’s plan, while unpopular with many telecom employees focused on their own networks, may be one of the only ways to build a “robust” and secure network capable of lasting the next several decades. “The dilemma is getting network providers to work together,” he told Yahoo News during a phone interview. “What [Spalding] laid out to me was very rational and very clear — we have security issues we never really thought of back when we were building the original networks,” he said. Spackey said he didn’t think individual carriers were capable of building the network with the robust standards necessary to defend against “adversaries like China and Russia.” Having the government support the project using taxpayer money could be “no different than the national transit system,” he added. But one former colleague at the National Security Council called the plan “half baked” and insisted that Spalding may have “gotten way over his skis,” first by failing to work more within the government and its leadership, and second for suggesting a plan that seemed counter to promoting capitalist competition in the 5G space. The National Security Council, according to the Wall Street Journal and Reuters, is working on an executive order that would ban private companies from using Chinese telecommunication companies Huawei and ZTE’s products in the development of 5G networks. The order, which was independently confirmed to Yahoo News from two sources familiar with the matter, cites national security officials’ concern that the Chinese government could use its influence over domestic companies to use the network for espionage. 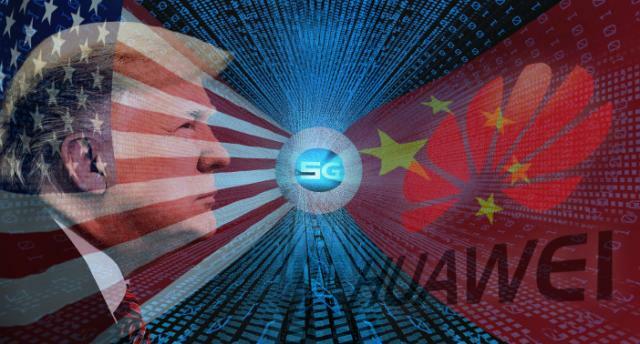 The White House and the intelligence community have so far not provided specific examples of Huawei stealing secrets or pilfering information through telecoms or their 5G development, but have rather cited ongoing concern that Huawei, given its close ties to the Chinese government, could not refuse to comply with any government request for information in the future. A recent Department of Justice indictment against Huawei alleged the company violated sanctions through work with Iran and stole trade secrets from T-Mobile. This may not be a new problem. Former telecommunications tech giants like Nortel, which filed for bankruptcy in 2009, attributed at least some of the causes of their demise to Chinese espionage — theft of business plans and internal documents reaching back to the early 2000s. Huawei and ZTE were key competitors at the time as well, selling similar products for less. National security and technology experts are insistent that Huawei’s involvement in espionage on behalf of the Chinese government is not theoretical. And according to one former intelligence official, the National Security Agency was already instrumental in pushing Germany not to work with Huawei. However, the NSA itself has sought ways to potentially spy on Huawei in the past, according to published documents from former NSA contractor Edward Snowden. Broader condemnation of Huawei could have wide reaching financial consequences for American companies as well. A ban on Chinese companies would force small companies to rip out Huawei and ZTE products from their infrastructure, potentially without compensation. Both small American telecoms and European companies that have already signed agreements with Huawei could be either forced or pressured to forsake their ties to the Chinese companies to align with U.S. government standards. Australia has already enacted a ban, while European countries like Poland, according to the New York Times, are currently being pressured to follow suit or else lose out on valuable assets like a future military base. Israel and others plan to join the group soon, according to one source familiar with the growing coalition. The former NSC official who criticized Spalding’s plan argued the ban would be “effective” at deterring Huawei. However, having been in government when President Trump effectively ended NSC employees’ plans to blackball Chinese tech company ZTE through a tweet last May, the official worried about a repeat flip-flop. “I bet Trump caves just like [he did with] ZTE,” the official said. The proposed ban within the White House will be accompanied “by some expense,” said Lewis, but that will be offset if it allows for a couple years to break ties with Huawei instead of having to replace technology right away. Alternatives to Huawei, including Samsung and Ericsson, cost more money — but are currently recommended by the government as more secure. Even so, the ban “sends a good message” said Lewis, particularly when paired with an international coalition. Spackey, the former telecom executive and current CEO of Bluewater Defense, which manufactures uniforms for the military, also said that any national 5G network “robust” enough to be anywhere near “impenetrable to bad actors” would be very expensive — but worth the cost in the long run. “Even with government support, it’s going to take five-10 years,” he concluded. No matter what happens, the results of the race between the U.S. and China could lead to a geopolitical impasse, argued Eurasia Group in a recent white paper, where countries will have to choose which network to adopt — putting countries with competing ties to the U.S. and China in a difficult position. Imposing a ban on Chinese products within the U.S. could make that divide all the clearer. And countries like Hungary, where a 5G deal with China was announced last year, may not go along with U.S. wishes. Those choices, depending on the speed of progress with 5G, could be on the horizon. “We’re already seeing 5G rolling out all around us…and China is a frontrunner,” said Emily Walz, a lead analyst at defense contractor SOS International, who recently co-authored a U.S. government-sponsored report on China’s Internet of Things. China’s efforts to develop a functioning, wide-reaching 5G network are helping it become a “standards maker,” which increases its influence in shaping the future of 5G deployment worldwide and revenue of Chinese companies, Walz said. At this point, progress in 5G is an inevitability — but the benefits and costs of seeking a ban without a U.S. body of companies mutually focused on digital defense are unclear. Spalding, before he left the White House, had hoped to approach companies “to say, maybe you could come together, form a consortium, build this network” to focus on encryption and building in a layer of security, he told Yahoo News. But Spalding’s efforts ended when he left the NSC.